ChildLifeMommy – was created by Shani Thornton, a Certified Child Life Specialist and parent. Shani provides resources to families and caregivers supporting children through life’s challenges such as a medical diagnosis, loss, trauma and adjusting to a new situation (school, home, baby). She also provides in-home child life services to families within her community and to others through video conferencing. Visit Shani’s website to learn more about her and Child Life Mommy. Children’s Bereavement Art Group – is for children and teens, ages 4-17, who are grieving the death of a loved one. The children are placed in groups according to age, development and type of loss. An art therapist with an extensive background in childhood grief runs each group using art and creative activities designed to facilitate healthy self expression and grief resolution. Sessions are ten weeks long and offered in Sacramento and Roseville. There is no charge, although donations are grateful accepted, but there is a waiting list. Please call Peggy Gulshen at (916) 454-6555 for more information. Creative Edge: The Way of the Arts – supports the expression of individual creativity as a fundamental aspect of the human spirit. The Creative Edge (CE) offers interactive art-based programs in the greater Sacramento area that develop each person’s unique, intuitive creative potential, nurture imaginative self-expression, build self-confidence and awareness and foster creative communities. With a fundamental conviction that creativity is healing, particularly for those experiencing grief and loss, the programs at CE are a way for participants to safely express difficult emotions. The focus is on using simple art materials to articulate what can’t always be put into words but needs to be expressed and shared for healing to occur. Monthly art programs include Collage For The Soul and Playing On The Edge as well as other programs as scheduled. For those who want to communicate and heal through words, there is an ongoing expressive writing group that offers a safe space to write what needs to be written. Read about one grieving individual’s experience with CE’s writing group here. Eluna – provides comfort, hope and healing to children and families affected by grief and addiction through its two signature camp programs: Camp Erin and Camp Mariposa. Camp Erin is the largest national bereavement program for youth grieving the death of a significant person in their lives. Eluna’s resource center has links to a wide range of grief and addiction resources. More importantly, Molly Hasson, the Resource Center Director, will provide a personalized set of resources plus a warm hand-off to referrals and other support. Project Grief – is an online course that teaches art as a therapeutic tool to help with an individual’s grief recovery. The ten classes begin with helping students feel the emotions of grief, then gain courage to begin to accept the loss. After that, students learn the importance of memorializing the lost loved one in a healthy way, then constructing a new identity and purpose for their lives apart from the loss. Try ProjectGrief out by signing up for their free mini course, Grief Art 101. Sudden Unexplained Death in Childhood (SUDC) Foundation – is the only organization worldwide whose purpose is to promote awareness, advocate for research and provide support for those affected by SUDC. The Foundation provides all services at no cost to families. SUDC has no known cause, explanation or cure. Most often, a seemingly health child goes to sleep and never wakes up. SUDC is the fifth leading cause of death in children ages one to four, yet SUDC research receives no public funding. The Dinner Party – is a community of mostly 20- and 30-somethings who have each experienced a significant loss – a parent, partner, sibling or friend. They get together in groups of 8-10 over potluck dinners to talk about the ways in which loss continues to affect their lives and how to thrive in the #lifeafterloss. Visit their website to join an existing Dinner Party or start one of your own. Wisdom of the Wounded – was founded on Karen Mulder’s belief that we can care well for one another in the midst of pain by sharing our stories. In her own life, Karen has found that those who have actually been in a crisis offer the best advice on how to help others walk through a similar experience. We are all in relationship with someone facing difficulty—a divorce, a death, a child in trouble. At Wisdom of the Wounded, you’ll find the knowledge and skills you need to become a more compassionate and caring friend to those in need. All of the wisdom shared here comes from real stories of pain and hope. Friends For Survival (FFS) – is a national nonprofit organization for those who are grieving the suicide death of a friend or family member. Founded by Marilyn Koenig after one of her sons died by suicide, all staff and volunteers have been personally impacted by a suicide death. FFS provides a variety of peer support services that comfort those who are grieving, encourage healing and growth, foster the development of skills to cope with a loss and educate the entire community about the impact of suicide. Click on the link to request an introductory packet and current newsletter. Healing Together (Suicide Loss) – is a peer-to-peer support group for anyone age 18 or older who has lost a loved one to suicide. The group meets once a month on the first Wednesday from 6:00 pm to 7:00 pm near the Sacramento State campus. Interested in learning more? Email Jody Nelsen at SuicideLossHealingTogether@gmail.com or call her at (209) 730-3281. Lighting Up The Sky – provides support, resources and information for those affected by suicide. Created by Chelise Stroud, a two time survivor of suicide loss, Lighting Up The Sky shares Chelise’s personal essays as well as three regular features — Our Voices Matter (stories of those whose lives have been touched by suicide); The Beauty of Grief (the poignancy of loss and the many beautiful ways people memorialize their loved ones) and Their Lives Mattered (the names, faces and lives of authors, artists, musicians and celebrities whose lives were lost to suicide). Jane St. Croix Ireland, Intuitive Energy Healing – uses her intuitive ability to connect with your animal. She receives communication, insight and information that can help strengthen the bond and increase the harmony between you, address behavioral problems and assist with health challenges. 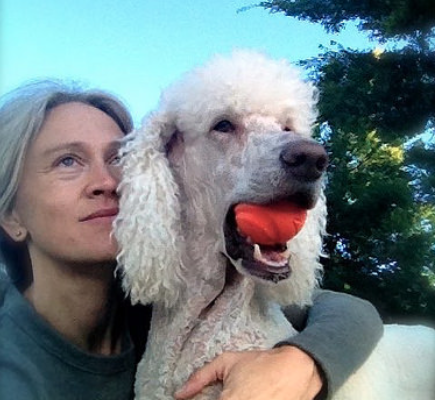 Jane believes — companion animals are special partners to the human race. In a completely unselfish manner, their souls have volunteered to befriend us, support us, hold space for us and help us transcend the challenges of our journey. Animals are pure, uncomplicated light and love. That is why we are so drawn to them and completely enchanted by them. We feel our kinship. We resonate with their purity and natural joy. Just Muscles – Laura Coleman is amazing! 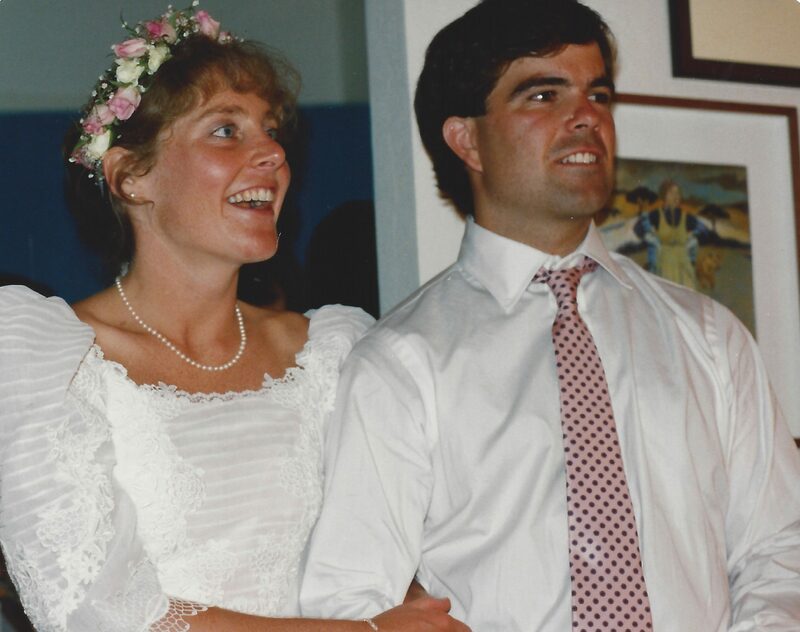 When I first met Laura in 2002, I was suffering from chronic low back pain originating from an injury in 1996. After a month of working with Laura, the pain disappeared and hasn’t returned. Laura has helped me recover from multiple injuries and start working out or running within 3-4 days. After my son, Jimmy, was diagnosed with cancer, Laura helped him heal from surgery and treatment, regain flexibility and maintain his muscle tone. Since Jimmy’s death, she’s helped my body heal from the trauma and kept me healthy and strong. She’s got a wealth of knowledge and an unlimited number of exercises and stretches. She’s funny, energetic and never boring. Laura works her magic at ClubSport in Portland, Oregon or with clients all over the country via Skype. Therapy With Aja – Aja Oakman Mahaffey is a Medical Social Worker and Licensed Clinical Social Worker. She specializes in helping people who are struggling with depression, anxiety and grief. Aja worked with Jimmy before he died, and she helped me survive his death. Her wise counsel, sympathetic ear and kind but direct approach enabled me to process my grief and figure out how to move forward into a life without my beloved son. Kids’ Cancer Pages – is the first-ever national resource directory on childhood cancer for families and caregivers of children and teens with cancer. Recognized by the National Cancer Institute as “the most comprehensive guide for families currently available,” Children’s Cancer Association send this vital support tool free of charge to every pediatric hospital in the country. Click on the link to download or order your copy. Snapshots of Life After Loss – is a photography and video interview project that explores what life after loss looks like. Gracelyn Bateman and Melody Lomboy are creating the book Gracelyn wishes she’d had when her father died suddenly in 2016. Their goal is to humanize grief and show those who are newly grieving how others have moved forward and rebuilt their lives after a devastating loss. During each session, Gracelyn and Melody photograph grief survivors with a momento of their loved one and conduct a video interview about how they have navigated life in the aftermath of their loss. Participants share memories of their loved ones and offer advice to the newly grieving. The photographs, stories and videos are shared via social media and will ultimately be developed into a book. Interested in participating in the project? Contact Gracelyn and Melody via Instagram or Facebook. SoulBursts – are unique glass creations that hold the physical remains of someone you love “within the light and motion of art glass”. Michelle Kaptur created SoulBursts as a way to honor and keep her mother’s memory close. To learn more, watch this OPB video about Michelle and her beautiful glasswork. Kids v Cancer – promotes pediatric cancer research by identifying structural impediments — new drugs, tissue donation and access to funding — and developing strategies to address them. 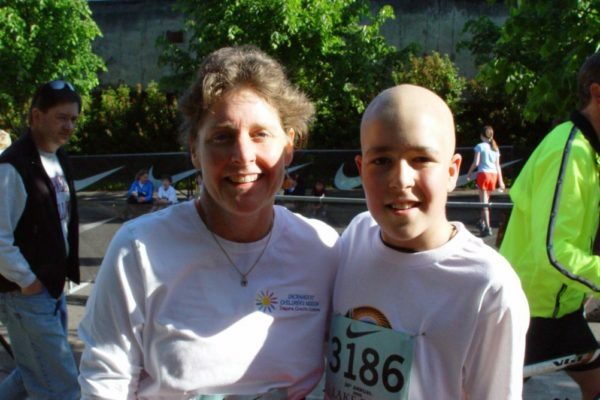 Nancy Goodman founded Kids v Cancer after her beloved son, Jacob, died of brain cancer in 2009. Kids v Cancer authored and championed the Creating Hope Act which provides a market-based incentive to spur pediatric cancer drug development. Learn more about other important work they do and how you can get involved by visiting the Kids V Cancer website. Layla’s Legacy Foundation – raises much needed funds for innovative pediatric brain cancer research that will find a cure in our lifetime. The Foundation also provides financial support for families whose child is undergoing treatment. Support can include travel costs and/or out-of-pocket expenses for procedures and medications. With Purpose – is dedicated to making sure kids with cancer have access to safe, effective treatment options by empowering young leaders across the country to take action. The organization advocates for families affected by childhood cancer and invests in ground-breaking initiatives that remove barriers to advancing treatment for pediatric cancer. Salt Water does not receive financial compensation for the resources we share.